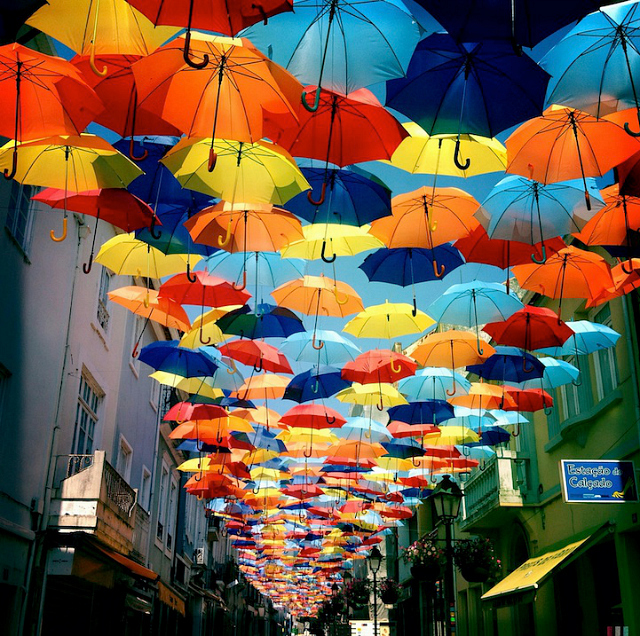 The phrase, "under my umbrella" takes on a new meaning with this amazing umbrella installation in Agueda, Portugal. In an art festival called Agitagueda, photographer, Patrícia Almeida (who also photographed the same thing last year! ), has captured this beautiful installation that turns traditional shopping streets into a visual masterpiece. 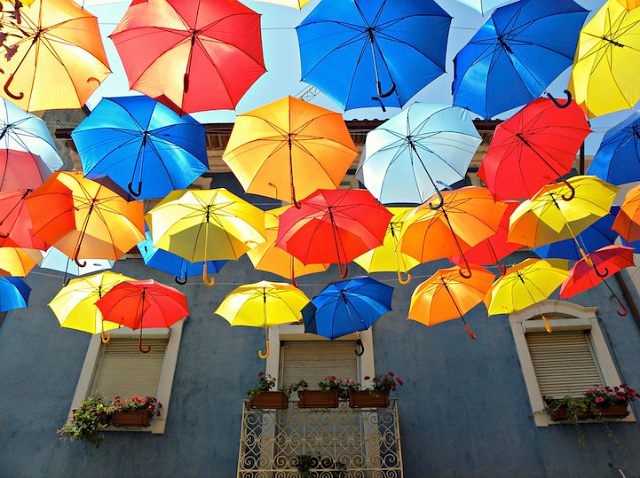 Simple but colorful umbrellas fill the sky and the streets suddenly seem like a scene out of a movie. It's amazing how such an ordinary item like an umbrella can suddenly feel extraordinary. This installation almost feels like a "why didn't I see that before?" moment. I would love to witness this in person. If you're lucky enough to travel to Portugal (or even live there now!) be sure to see this installation since it will remain there through the month of July! Nancy, this is awesome! 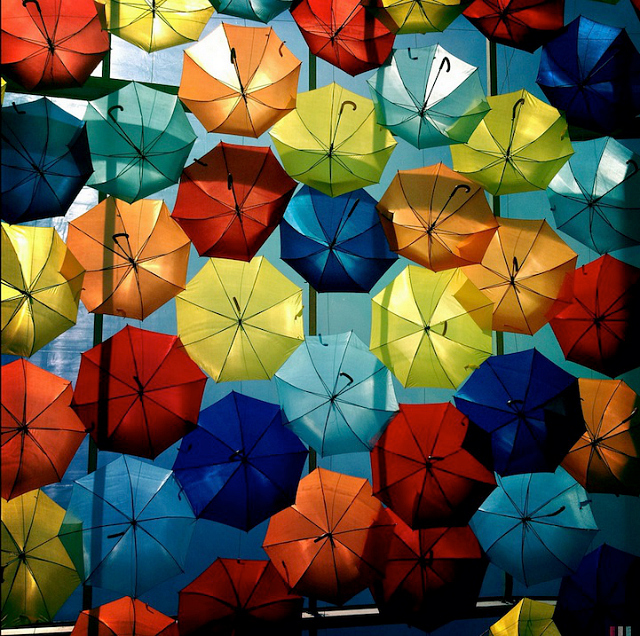 Reminds me of a rainbow or Mary Poppins. HaHa So magical! 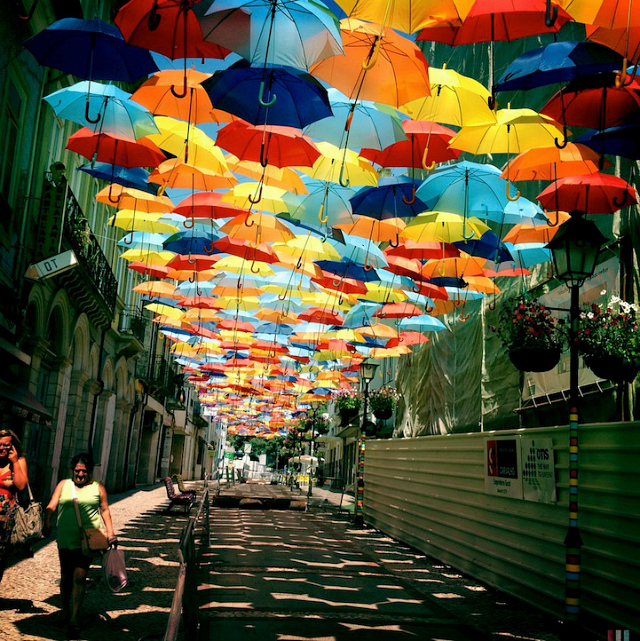 This is a pretty cool installation in Portugal. 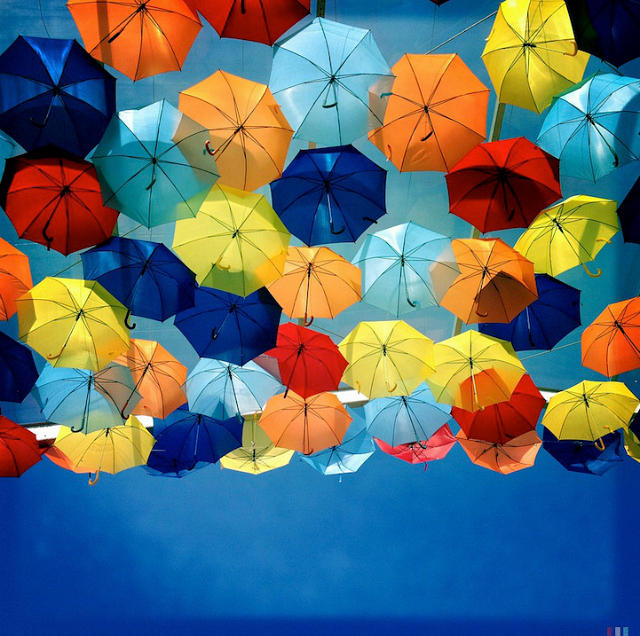 I love how all the umbrellas look up there--totally pinning. These images are absolutely amazing! It definitely does look like a rainbow! Oh my word I wish I were Portuguese! This is amazing! Genial, sin duda muy bueno, creo que en Milán también han puesto este tipo de modelo pero en color fucsia. What a cool exhibit - that looks AWESOME! This is gorgeous! I would love to see it in person.